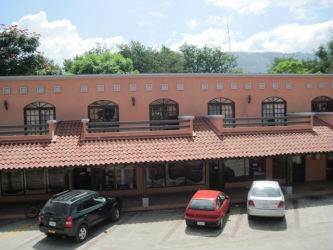 9 upper residential condos for sale as a package deal in the Colonial Commercial Plaza, main street Coco. Or purchase 1 condo for $75,000 - see Listing #3837. If you purchase more than one condo but less than 9, must negotiate the price with the seller. Ideally located above commercial units. Rent out the condos to commercial unit owners or their employees OR own /rent a commercial unit below. Each condo has 775 sq. m feet each with 1 bedroom, 1 bath. Diversified Commercial tenants below, bank, super market, restaurant, attorney office, medical clinic.